Poet Simon Mole and musician Gecko have joined forces to write and perform a new show for children (aged 5+) and families. There are live songs, rap stories, instant poems and a weasel with a serious biscuit problem! 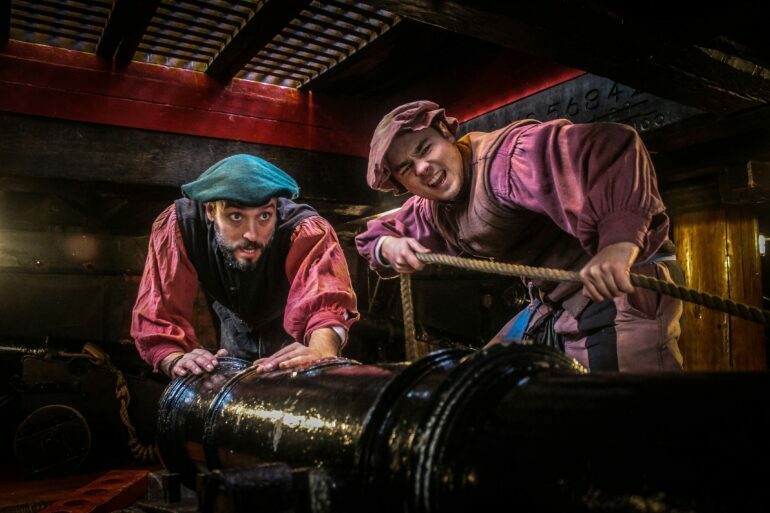 Bit of a kid’s dream itinerary here: Sword fighting, learning how to fire a cannon, and swashbuckling sea shanties. Shadow puppet theatre featuring Captain Blue’s adventure as she goes in search of her ship and crew with the help of the fearsome Pirate King, Old Jolly Roger. Science, STEM, debating and public speaking camps with a 10% discount offer for our readers! Maggie & Rose Camps explore themes such as Mad Scientist Lab, Architecture Rules and Horrible Histories. Running from half to full day sessions, the camps aim to inspire and offer something totally different and creative. 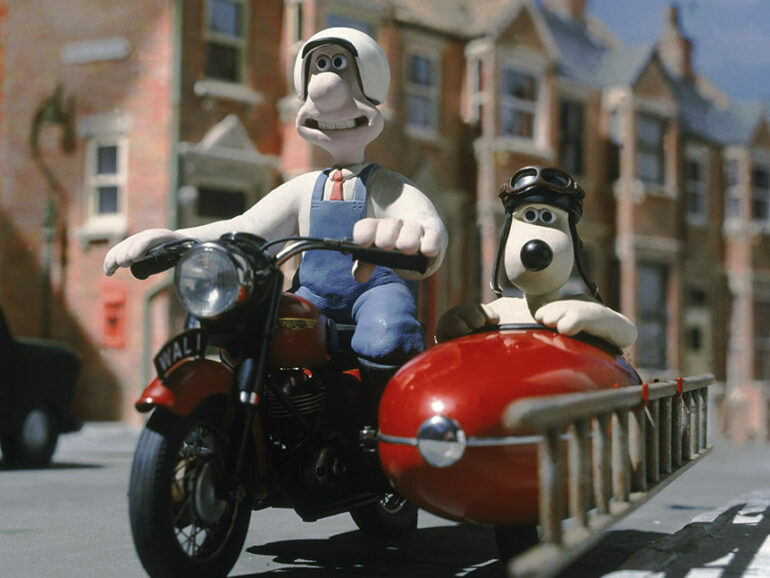 Aardman Animations pairs with The Postal Museum for an Easter full of Wallace and Gromit inspired activities. 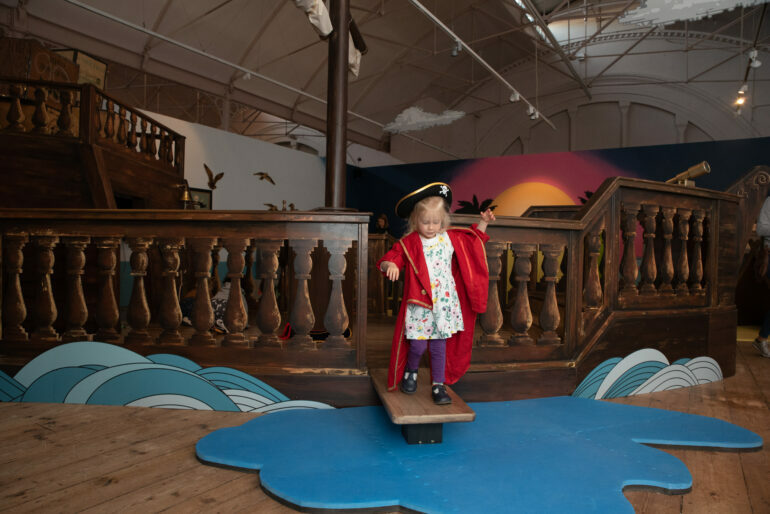 All wannabe pirates should hot-foot it to the Museum of Childhood this Easter before A Pirate’s Life for Me sets sail for good on the 22 April. During Easter break young swashbucklers can partake in pirate workshops, lively storytelling sessions and there’s even Pirate Camp! Free, drop-in events for all the family. A two-day festival of family friendly events sees the theatre transformed into a magical space for children and families with an array of free fun, games, crafts and activities taking place before and after the show. Featuring the UK premiere of Aracaladanza’s performance ‘Play’ which incorporates puppets, projections, balloons and fantastical costumes. Have you ever wondered what sound feels like? Or what music looks like? 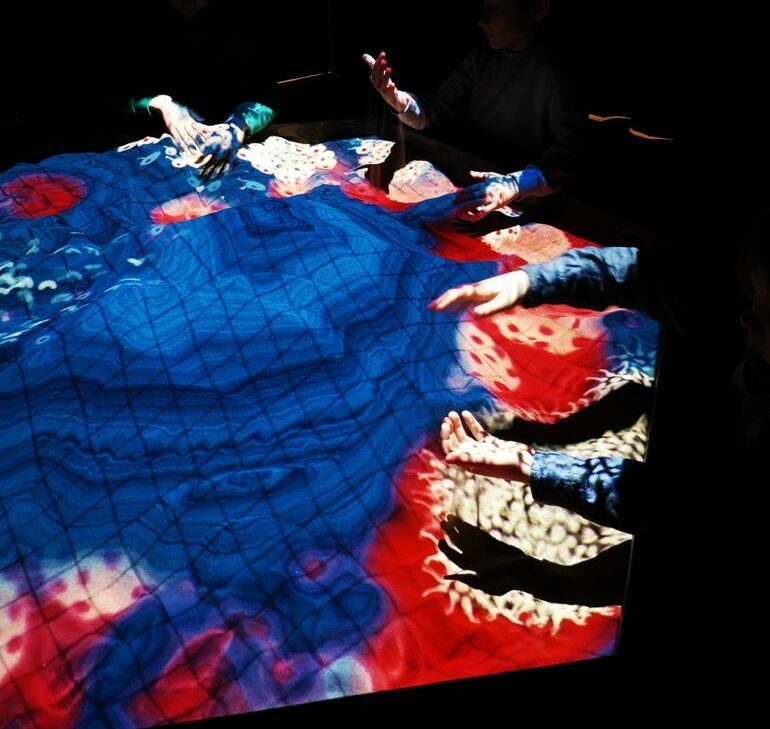 These are some of the ideas that inspired the trippiest sandbox play area you ever did see. 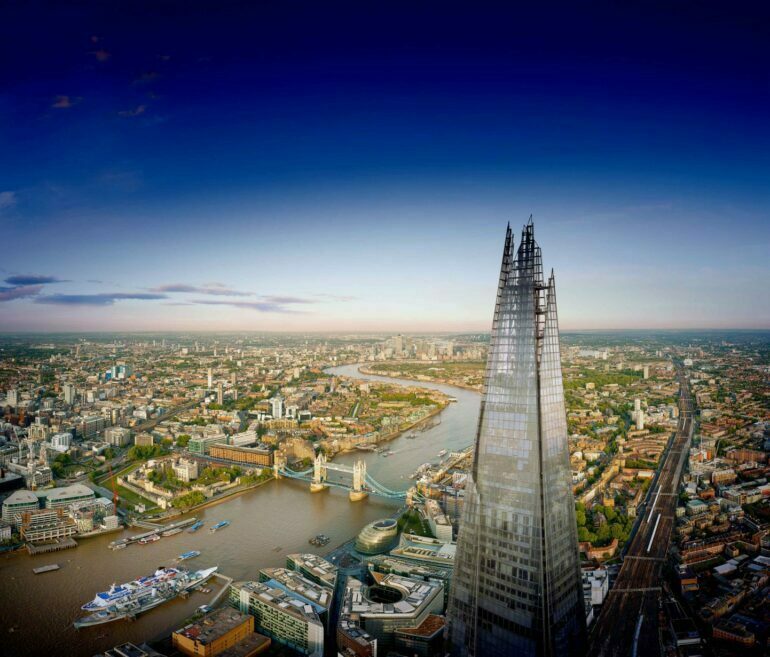 The View from The Shard will once again be opening their doors extra early to welcome a limited number of families to this exclusive out-of-hours event. With unlimited hot drinks and juice, face painting, and balloon modelling and views for dayssss. Go on our Easter trail, create something crafty and dare to venture through the rabbit hole for a special storytelling performance inspired by The Hen That Laid The Golden Egg. While you’re there be sure to check out the Brick Wonders exhibition. Read our review here. LOOKING TO RENT IN CHELSEA? 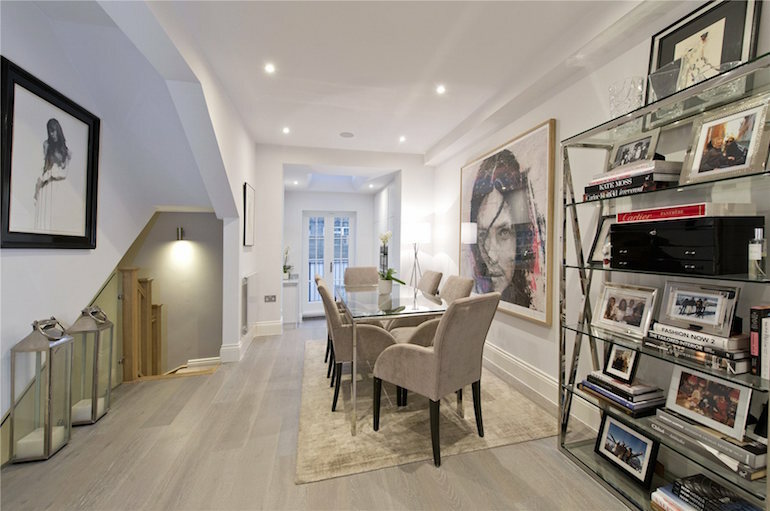 Award-winning estate agents Marsh & Parsons has a wide selection of properties available, including this one below. Get in touch today!